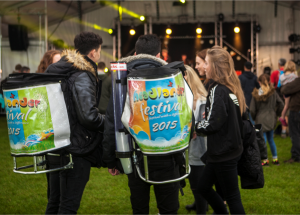 Beverage Backpack - Jetpacks: Be seen at key events! The Original Jetpack drinks dispenser is not exclusively for beverage use. 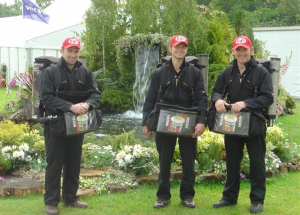 It has proven to be versatile and successfully used to spray mist at music events, dispense suntan cream at a product launch and complement catering equipment to serve a variety of sauces such as gravy. 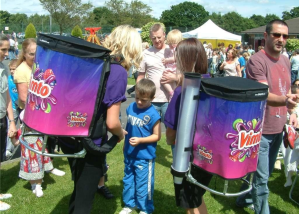 Explore Jetpacks’ potential to dispense a wide range of still or sparkling liquids. 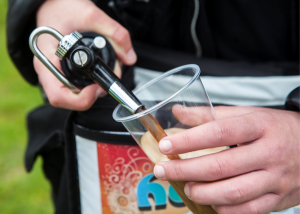 The original Jetpacks backpack beverage dispenser serves up to 9 litres of hot or cold, carbonated or non-carbonated beverages through a flexible hose and is pressurised with an electrical or manual compressor (sold separately, only one required per site not per Jetpack).